I very much enjoyed working with the new social studies teachers today. It is an honor to have been asked to work with all of you and I hope I was able to help in some small way. We are lucky to have you in Humble ISD. But, you guys are also joining the best group in our district. Our social studies teachers are incredible! If there is anything I can do to be of help, please let me know. I did a little "What is World History Pre-AP?" video last year. I am using most of it again this year. Changed the music and the beginning, but I kept a lot of what I had last year. I am not 100% sure I like it because the quality is not as good as the other two videos. 1) Explain what we will be studying - or at least give a brief overview. 2) Explain how class will function. 3) Give the kids a brief taste of a few of the projects we'll work on this year. What Is WH PreAP from Mr. Duez on Vimeo. Really interesting read. Is summer an "outdated legacy of the farm economy?" Or as the article seems to suggest, can it be a time for grass roots creativity to provide enrichment for kids? 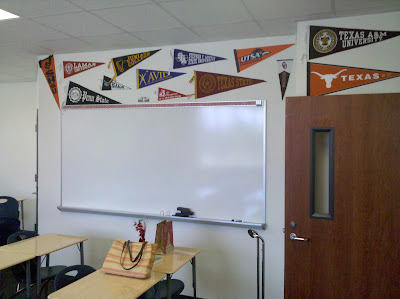 They pretty much cover everything needed in my classroom. Get to class on time. Be ready to learn. And be good to everyone in the class. Again Aidan is my star for the show. I like that he adds a little comic relief to RULES. Going over rules for the classroom on the first day can be dry and for kids it can seem unnecessary. At least Aidan has added some fun to it and maybe they just might connect to them a little better? Rules WH 1stDay from Mr. Duez on Vimeo. My rules video for the first day of class. Each school year I do a video to show on the first day. It's a video introduction to the class, explains expectations and rules. The first video I produced this year is the "Expectations Video." I wanted to post it here and get some reaction before I put it in the can. I'm also working on the rules video and the video that explains my World History class and how it will function. Those will be done this week. I am excited to have these finished well in advance of the first day this year. Too often I'm editing a video to prepare for the NEXT day and that is just crazy. It takes far too much work. Of course, having Aidan in my videos is always a lot of the fun. He's crazy. But, it is far more effective to have Aidan explain classroom rules and expectations to the kids than it is for me to stand up there and say it. What happens by 7th period on the first day of school? The kids have heard the same lectures about rules and procedures all day long from each teacher. It ends up sounding like Charlie Brown's teacher. Plus, this helps to save my voice and it delivers the expectations and rules in a very consistent format. And on top of all of that, I can post it on my website for the rest of the year. It is a wonderful way to explain the class to parents. 2010 Expectations WH 1stDay from Mr. Duez on Vimeo. This is a short video clip that explains classroom expectations in World History for 2010-2011. 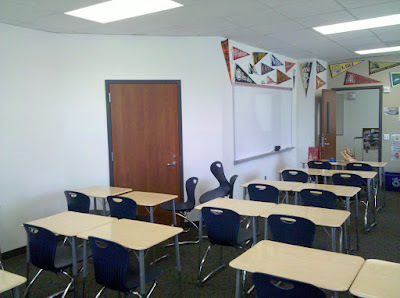 This week I went into school a couple of different days and worked on getting my room setup. 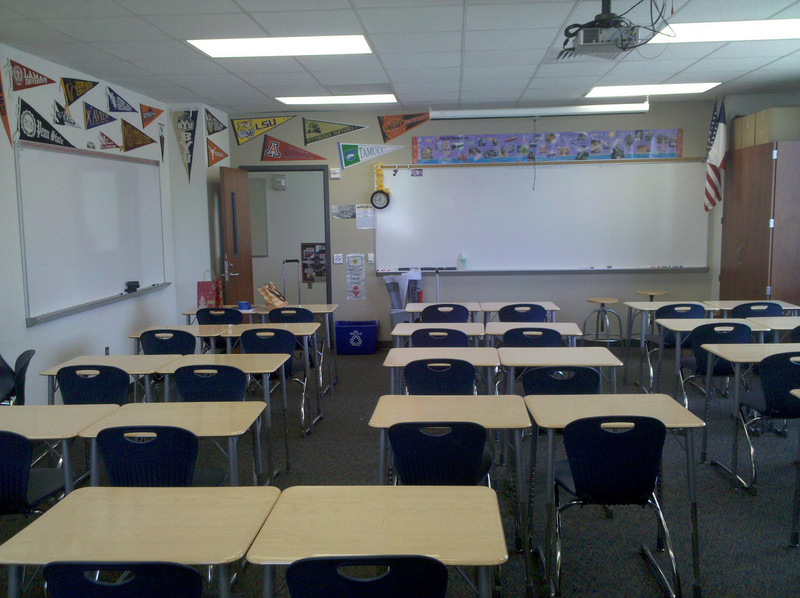 Since our high school is used EVERY summer for summer school (although we have FIVE different high schools within our district that could host) we have to pack everything up. This is tough. Everything must come down off the walls and we have little storage space. The only place we can store anything is in a small wardrobe. So getting setup for a new school year can be a lot of work. what a mess! End of the first day. What I have decided is that getting the physical work of my classroom setup was most important this year, in particular. I haven't been feeling well over the past 6 months. So slowly chipping away at my room and doing so in a low stress way was important to me. I am glad to say that most of the 'heavy lifting' is all done. 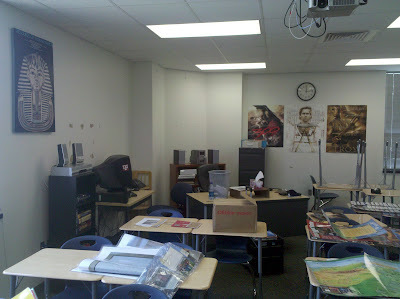 Posters are up, desks are moved into position, bookshelves filled with books, my desk has all it's supplies inside. There are still some major things to do, like organizing my filing cabinet and getting my AVID stuff setup. But, I am a lot further down the road than in year's past. I am really lucky to have two great windows in my room. This year I have moved my desk to the back a little further. My goal is go give the kids more prime real estate in the classroom. It is important this year because part of the problem I'm having health wise is managing stress and dealing with extreme fatigue. Over the past month I have made a lot of progress, but the school year's first day (8-16 for teachers, 8-23 for kids) is ominous. 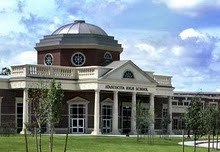 It was my hope at the beginning of the summer that I would be coming back to school fully healed. Now I realize that it is going to be a long term process. I will probably not be 100% myself for nine to twelve months. 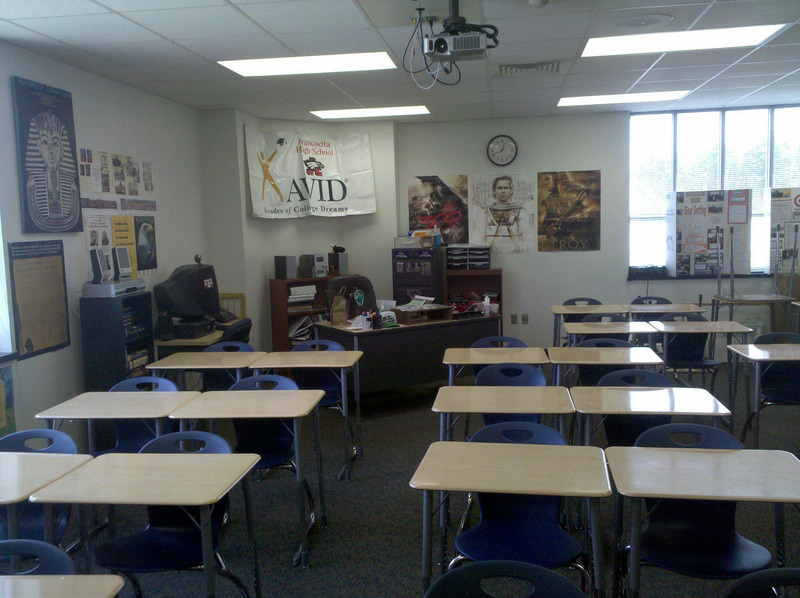 It is going to have to be a more different school year than I have ever taught before. My schedule is really interesting. I have the first two periods for planning/conference. 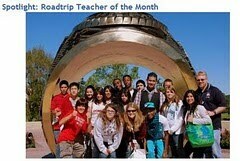 Then I teach the remainder of the day. This worries me greatly because the stress of teaching five straight periods without a break is going to wear me down. But, I have to keep the faith in the diet, vitamins and supplements I am taking. I also have to be sure to get to bed very early and get as much rest as possible. Because of the influence of reading TLAC I have realized that grouping my desks by twos works for me best. This gives me the opportunity to 'shoulder' every student as they are working. I can walk around the room and get a much better feel for how they are working. In the past I have had desks grouped in threes and sometimes positioned against a wall or side board. This is going to be very liberating. And I believe much more comfortable for my students. I can do it. But it is going to mean really taking the next step in my development as a teacher. 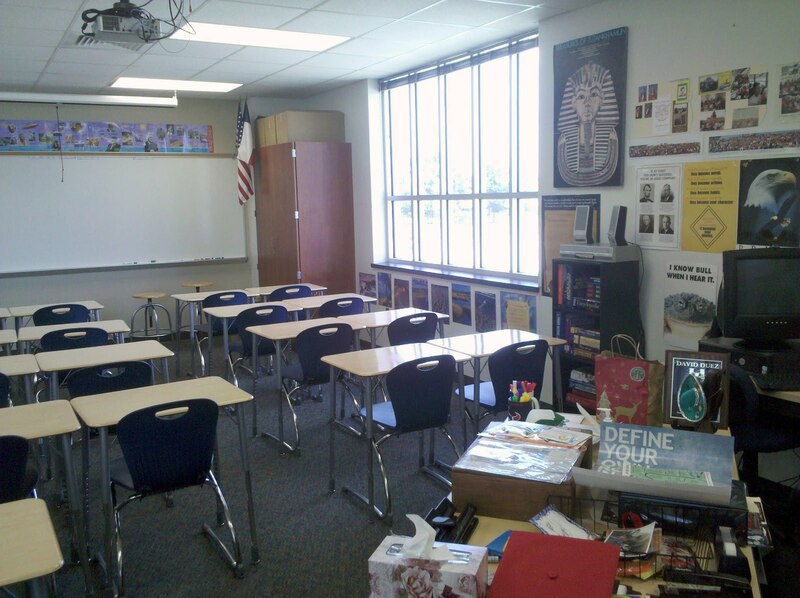 This year I will have to develop more student centered learning situations. Situations where I am not the "sage on the stage." Learning situations where the students are doing the heavy lifting and I am supervising. There is no doubt I am ready to accomplish this next step. What is going to make it work is a very strong beginning to the school year. It will be essential to create a climate in the classroom where students are on board and trust what we are trying to do. Very excited to make my room much more functional and much more comfortable for learning. About two weeks ago I was petrified at the prospects of starting this year. I am beginning to see a path forward though and I do believe strongly that I can get this done. Hopefully in the process I can become an even better classroom manager and teacher than before. We are going to post them in our faculty mail room (we have over 200 mail slots!) 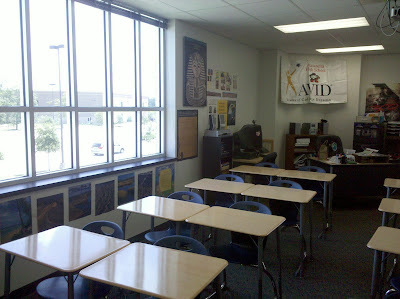 and in our 4 teacher work rooms in each of our learning communities. The idea is that teachers can tap the sign - or just simply be reminded of the spirit we had this summer during our professional development. 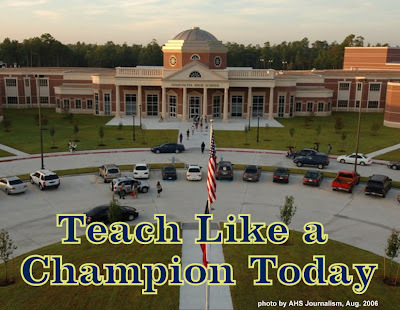 I very much enjoyed doing the PD on Teach Like a Champion and I hope it had an impact on some of my colleagues. Using some of the techniques in the book, I hope to become better and more efficient in the classroom this year.